You’re still not sure what to give, and you haven’t started shopping yet? That’s OK, we won’t tell a soul. 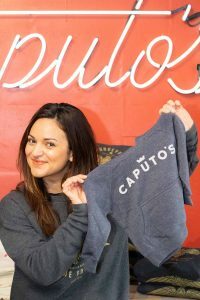 In an effort to inspire your food gifting, here’s what some of your favorite faces from Caputo’s are giving to their friends and family this year. Don’t see your favorite monger here? Drop by before the holiday—we’re open through the afternoon of Christmas Eve—and ask them for their personal recommendations. We’re certainly not lacking in opinions around here. 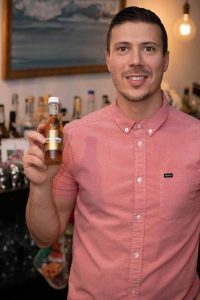 Crybaby Bay Leaf Bitters: These bitters are unreal, and local, to boot! 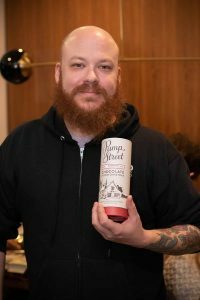 Cody has created a bitters that can completely replace the musky, depth offered by a classic aromatic bitters, but does so with a unique set of flavors and ingredients. Substitute these in any classic cocktail that calls for aromatic bitters, you’ll be both completely impressed and wildly pleased. NEW! Caputo’s Apparel: THIS IS NOT A PROMO. Literally every. single. person. on Yelena’s Santa’s list is getting the newest Caputo’s swag. Available for tots, kids, and adults. Everyone deserves the gift of good taste, both on their shoulders and in their bellies. If you’ve been to a class, you already know. This is the absolute authority on Italian cooking in Adri’s opinion. No other Italian cookbook is as thorough in explanations of process and history, nor as widely revered as one of the best. For those people in your life that are just getting into cooking or could use a refresher on regional Italian recipes, this is it. Marou Cacao Cashew Spread: We love anything from Marou. Their attention to flavor, detail, and overall experience are second to none. 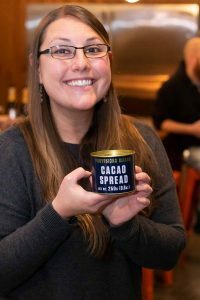 This cacao cashew spread is like a silky, mellow alternative to the classic cacao and hazelnut combo without some of the oil-y finish. Alicia is certainly gifting this, but we think she deserves one for herself, too. 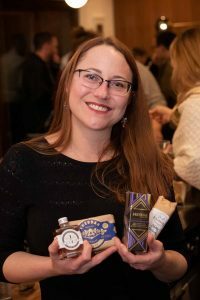 Personal Netflix & Chill Snack Pack: No one spends more time loving on our cheeses than our fearless leader, Antonia. This collection of snacks from our Cheese Caves and award winning shelves are the perfect essentials for a cozy night in. We’re thinking a craft cocktail, cheese board, chocolate bites, and an all-night binge of all the shows we missed while playing Santa’s helper this month. Add one goodnight kiss and this is the night in of our dreams. Pump Street Father Christmas (available in stores): Craft chocolate molded into the shape of beloved St Nick?! What’s not to love? Jamey may or may not be the king of last minute gifting, but he sure knows how to make a tasty choice. 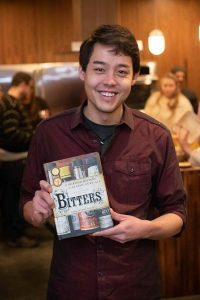 Bitters book (available in stores): Austin is turning his entire family into a clan of cocktail aficionados. 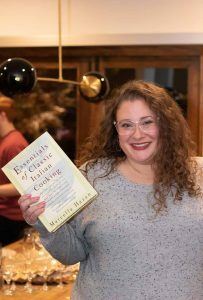 This book is full of both great information and history, but is also a one-stop resource for our favorite classic and newfound recipes. Tony may be sporting the last of our winter black truffles, but fear not! The long awaited white truffles are on their way to our stores, and hopefully the next stop is your dinner tables. 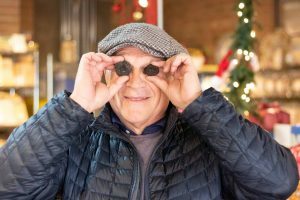 Your favorite Caputo’s monger has the scoop on how to best use them, but if you’re lucky, you can catch Tony himself for his favorite recipes, and new fashion accessory?